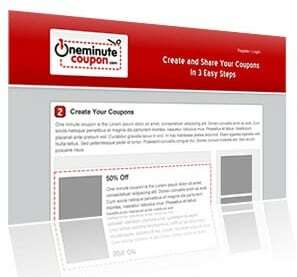 It’s now easy to offer printable coupons on your Web site, thanks to OneMinuteCoupon reports Small Business Computing. It’s a simple service, and here’s how it works. First of all create a free account on the site, then create your coupon using the online editor – you can even include your own images in there – and then copy-and-paste the provided html code into your own Web site; simple as that. Previous articleGetting Leads By Speaking For Free!